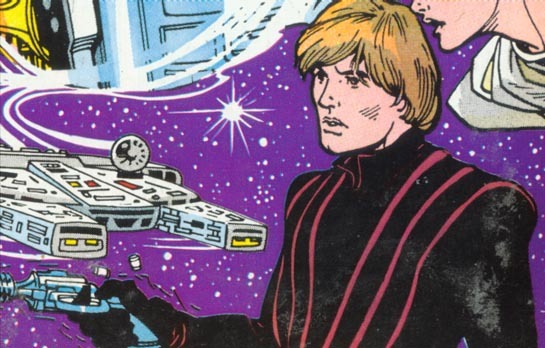 Jedi Luke appears in this striped outfit on the cover of the final Droids issue, the one that finished retelling the original movie. The one in which Luke is a farmboy, and not a Jedi. So why is he on the cover that way? For the same reason why R5-D4 is a red R2 unit, and Tarkin is in a blue and red uniform in the comic interiors.